Verizon Maintains a Competitive Edge with Cloud Foundry Verizon is far more than a phone company – today it is a software company as well. Cloud Foundry helps Verizon deliver software to the market faster. Josh Stone, DevOps and cloud architect, explains how. Cloud Native Technologies are Scaling Production Applications Leading up to KubeCon + CloudNativeCon North America 2017, the Cloud Native Computing Foundation surveyed its community to learn more about the cloud native technology landscape. Check out the highlights. 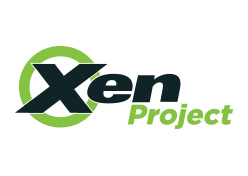 Xen Project Launches a New Unikernel Project: Unikraft Unikraft is focused on easing the creation of building unikernels, which compile source code into a lean operating system that only includes the functionality required by the application logic.